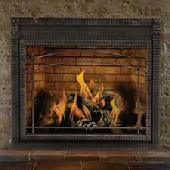 Create a focal point for any family room or great room with a Gas Burning Fireplace. 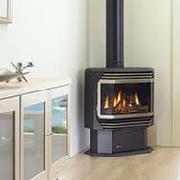 There are a variety of design styles and finishes to choose from, and the high efficiency zone heating saves you money! 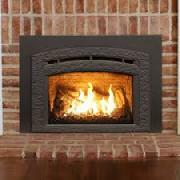 Not only do they offer tranquility and ambiance, but they provide a very efficient heat source that even works during a power outage. 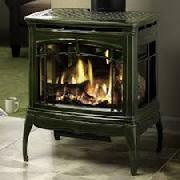 Gas Stoves help save money and energy by heating just the space you're in. There are many different colors and designs and they can vent through an outside wall or through the ceiling. 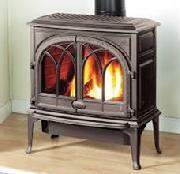 You will feel secure knowing that even in a power outage, you will still have heat. 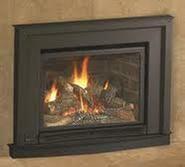 Convert drafty fireplaces into an efficient heat source by installing a Gas Insert. 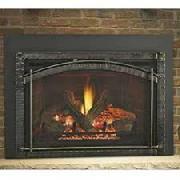 It is very economical and works great in a family room or living room. There are many designs to choose from whether you like contemporary or traditional styles. 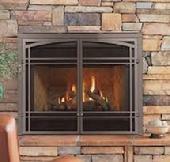 Gas Inserts work with masonry or factory-built fireplaces.